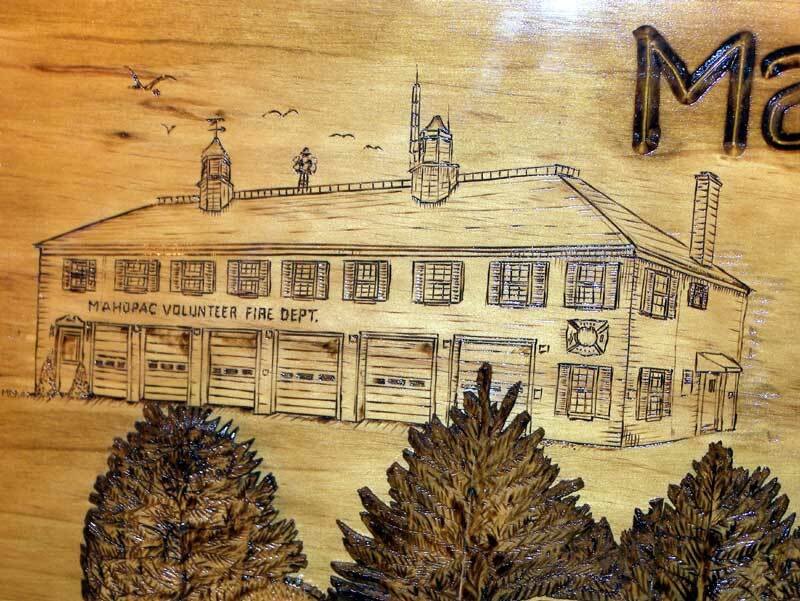 To help celebrate Mahopac Fire Department’s dedication of their new fire station, Rombout Fire Company presented Mahopac with a woodcarving rendition of the new station. 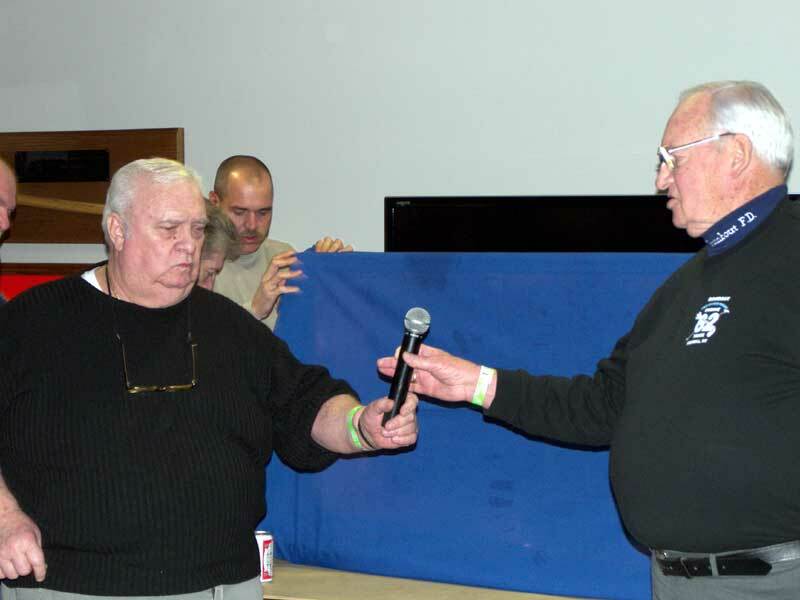 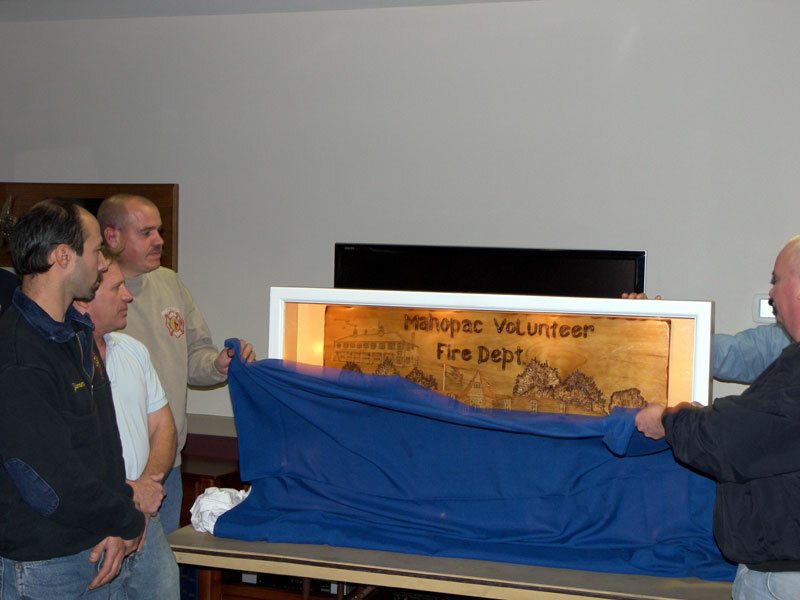 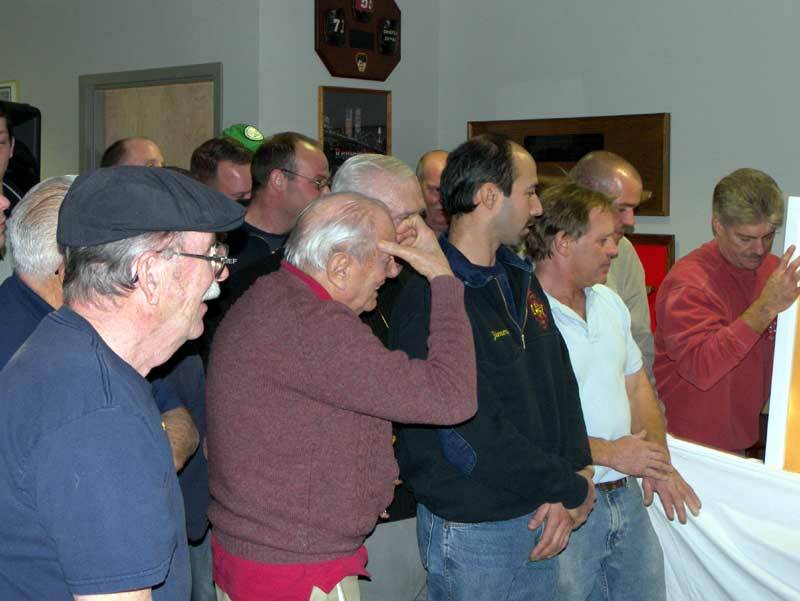 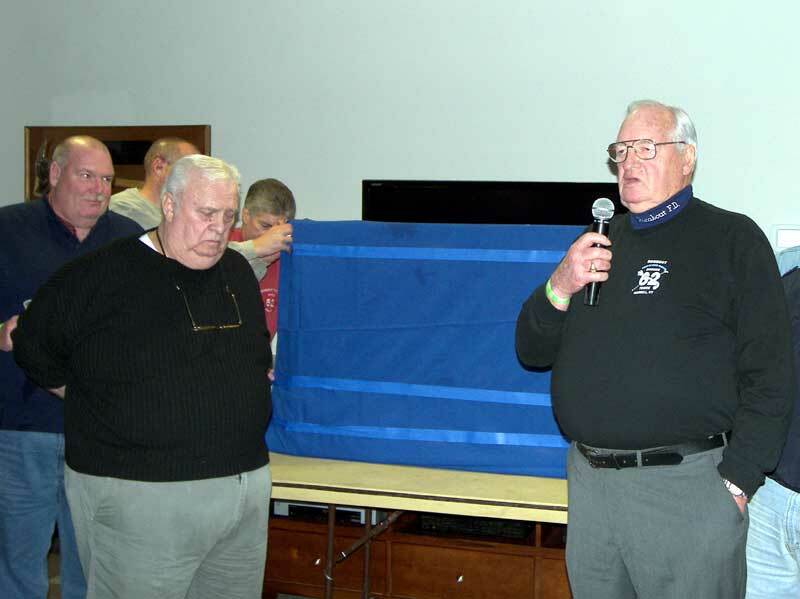 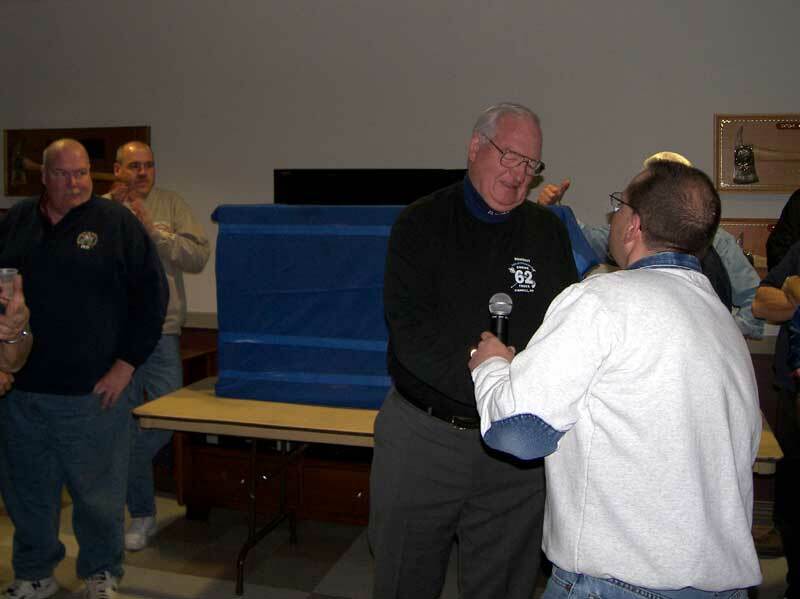 The Mahopac members let out sounds of astonishment and surprise when Rombout Chief John Lucareillo unveiled the woodcarving for the assembled members. 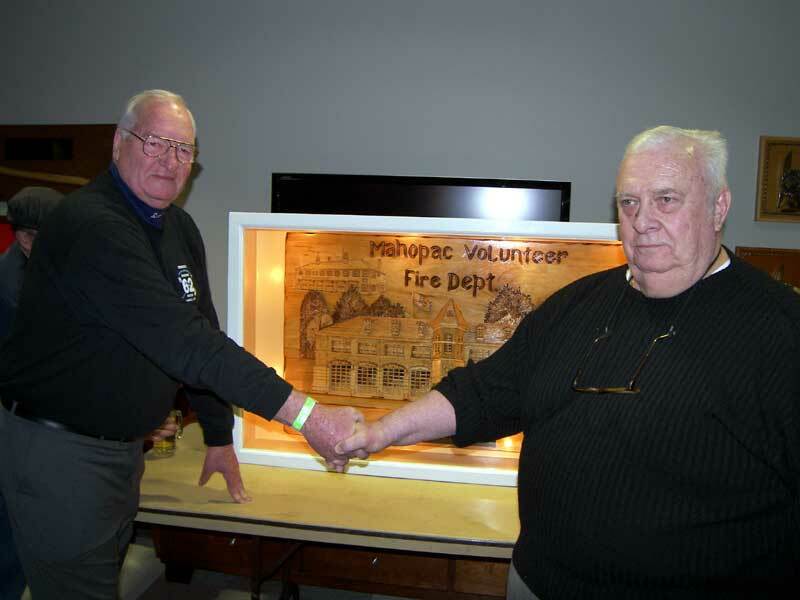 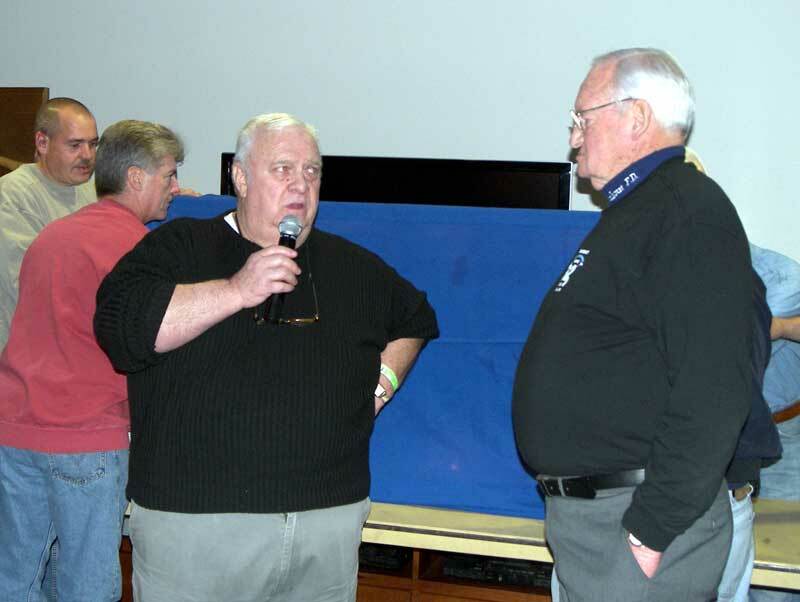 Before the unveiling, Rombout Past Chief Ken Scofield talked about how over 40 years ago a few firefighters from both departments became friends. 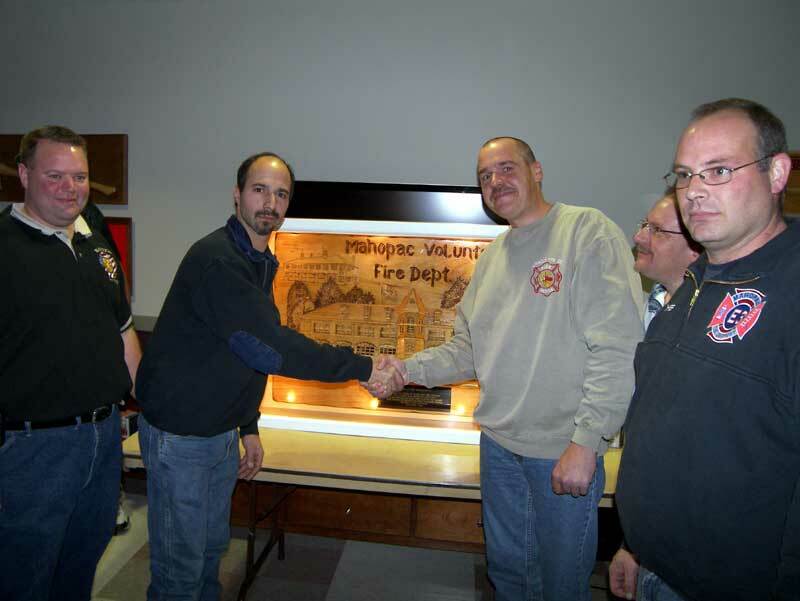 From those few members a friendship has grown between both departments that endure to this day. 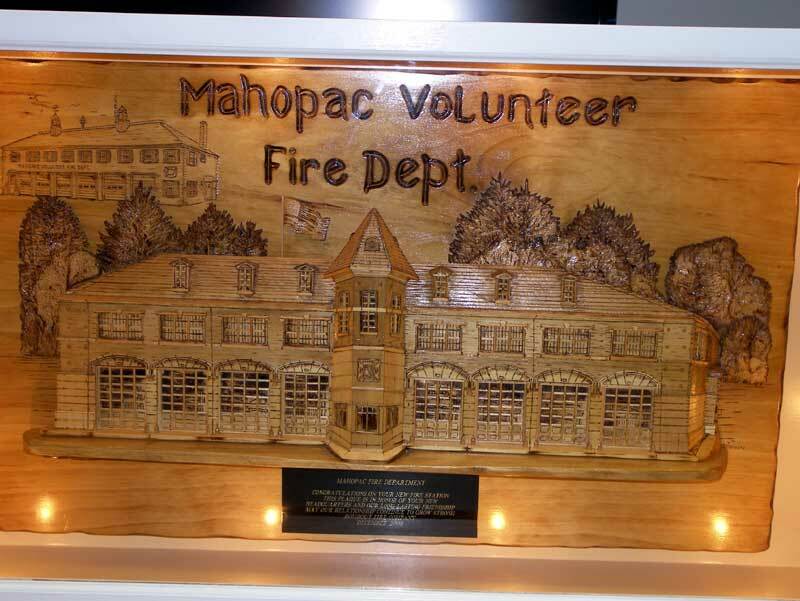 A plaque read Mahopac Fire Department, Congratulations on your new fire station. 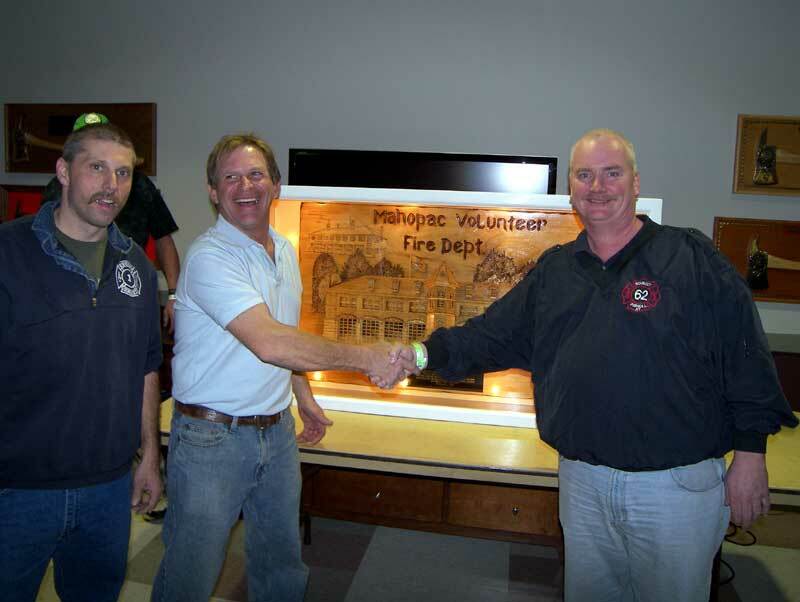 This plaque is in honor of your new headquarters and our long lasting friendship. 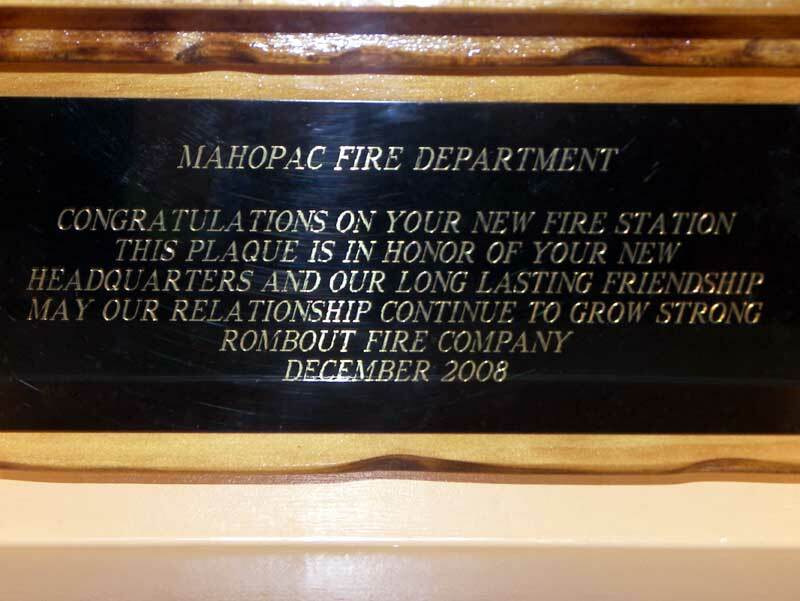 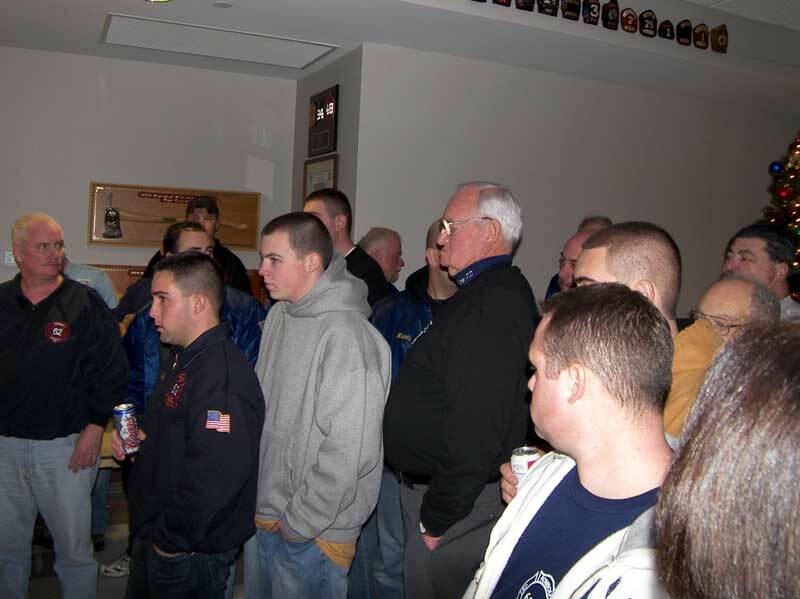 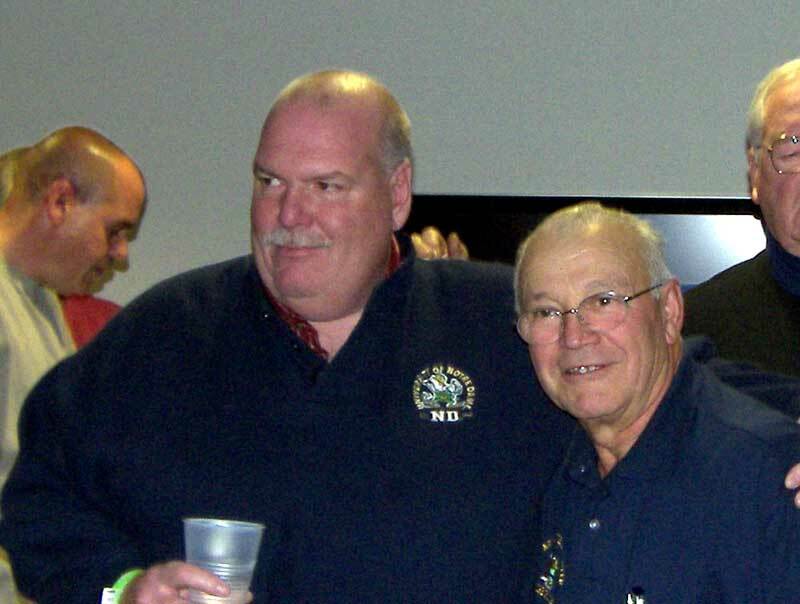 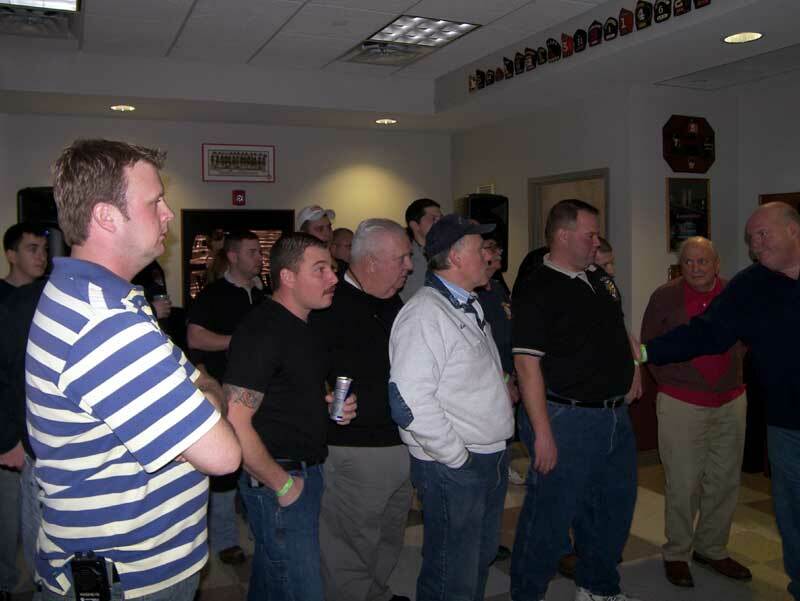 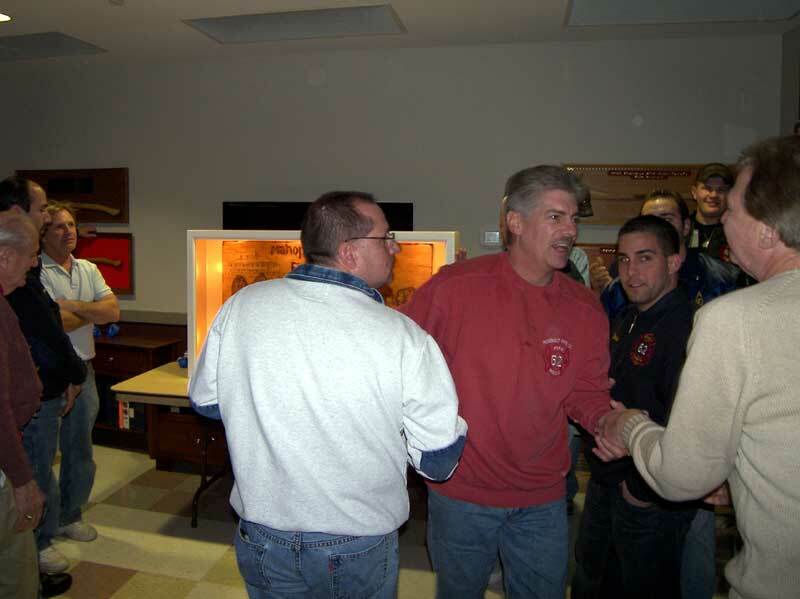 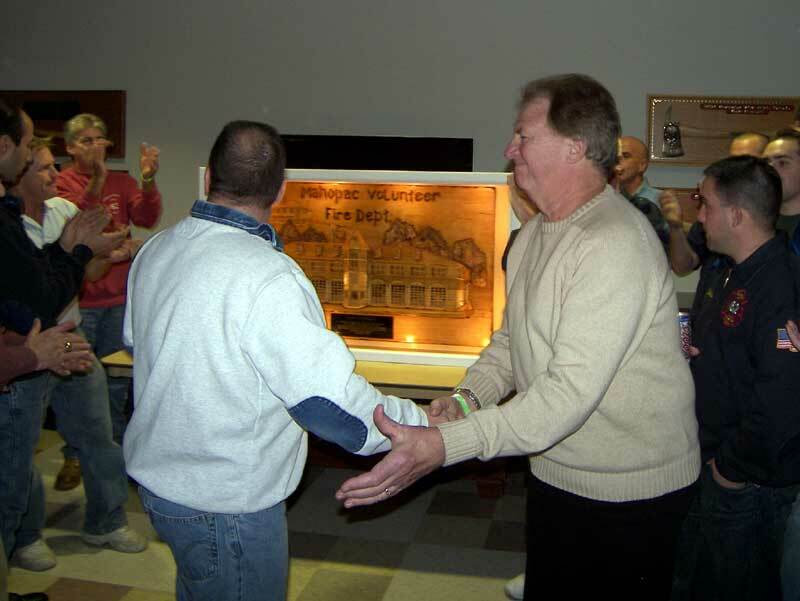 May our relationship continue to grow strong, Rombout Fire Company December 2008. 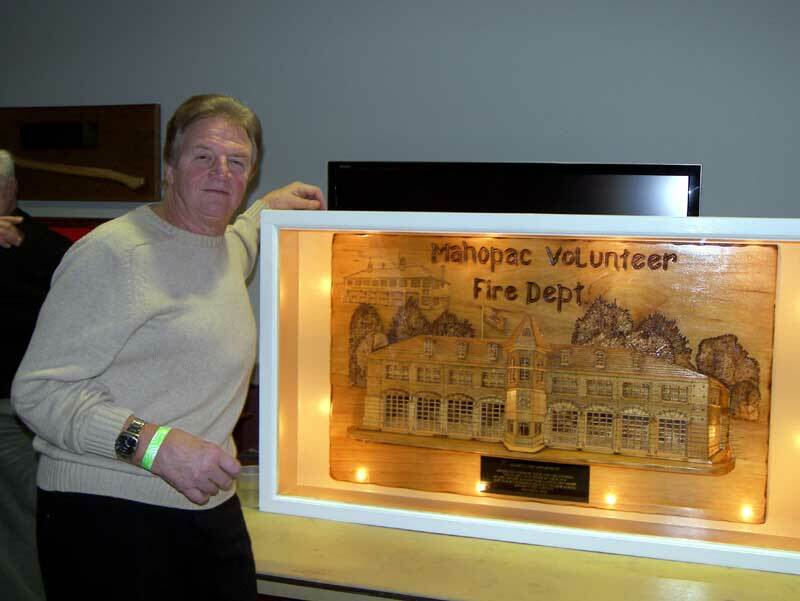 Rombout members commissioned the craving from Mike Mongero of Mr. M’s Custom Woodcraving of Yorktown Heights. 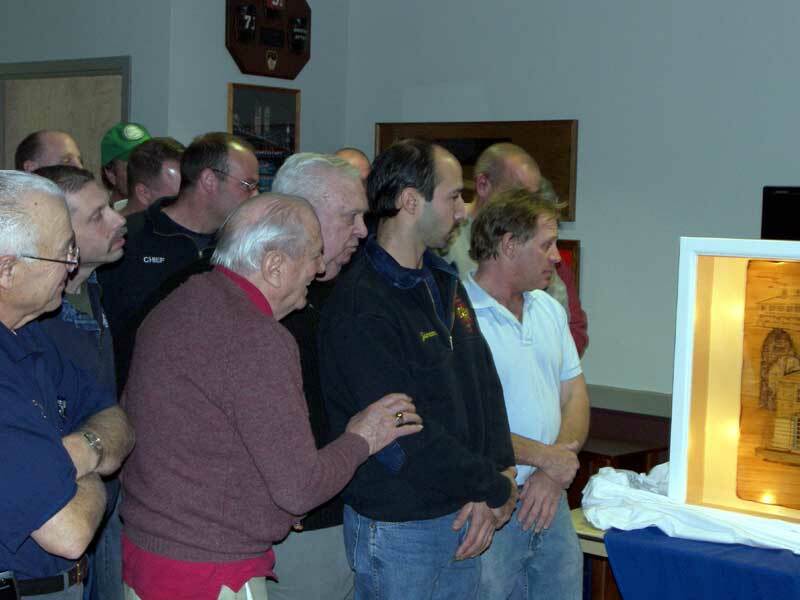 Rombout member Mike Moore built a lighted glass enclosed display box to house the craving.